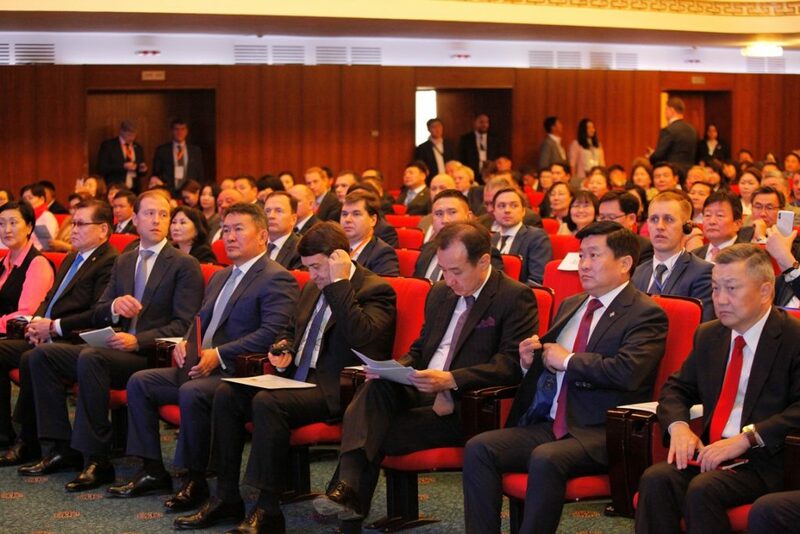 In frames of the ‘Mongolian-Russian Initiative – 2018’ series of events, Mongolia-Russia Economic Forum is taking place in the State Palace today. President of Mongolia Khaltmaagiin Battulga delivered a speech at the opening ceremony of the Forum. Present at the opening ceremony were Members of the Mongolian Parliament and Cabinet, Russian delegates including Denis Valentinovich Manturov, Russian Minister of Trade and Industry and Igor Yevgeniyevich Levitin, Aide to the President of Russia, and business representatives. 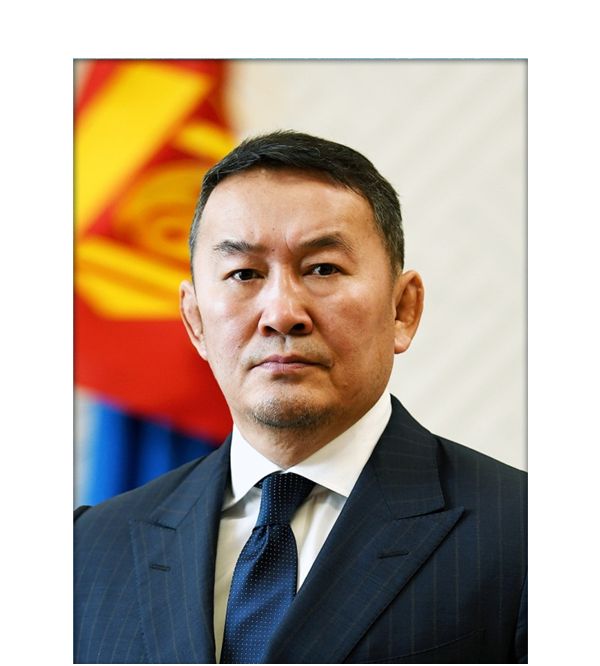 After greeting the Forum delegates, President Battulga said, “I clearly remember how President Vladimir Vladimirovich Putin and I agreed to organize today’s event during my visit to Russia to attend the Eastern Economic Forum, which was my first foreign visit after being elected the President of Mongolia. After successful bilateral talks, we are opening the ‘Mongolian – Russian Initiative – 2018’ in Ulaanbaatar today. I am sure that the meetings and discussions held within this event will contribute greatly to bilateral business dialogue and the strengthening of trade and economic cooperation between our two countries. For Mongolia, consistent development of the traditional friendly relations and cooperation with Russia is a foreign policy priority, and the enrichment of bilateral relations with economic content is a main objective at this stage. Mongolia is committed to maintaining balance in foreign trade and investment and deepening cooperation with its neighbors in all areas. First of all, increase of bilateral trade turnover and reduction of the imbalance in export and import is of utmost importance for our two countries. The level of our cooperation in trade and investment is, in short, unsatisfactory. I am sure that the delegates will agree that we have to work on improvement rather than placing the blame on someone. Mongolia wishes to develop and broaden active bilateral and trilateral cooperation with Russia. As far as bilateral cooperation is concerned, we should realize one or two projects that are as big as the ‘Ulaanbaatar Railway’ in the initial stage. Mongolia has an opportunity to establish meat and leather-processing factories with the help of Russian investment and technology and manufacture export products meeting the standards of Russia and the Eurasian Economic Union. To reach this goal, we should make full use of the favorable terms offered within the Altanbulag Free Trade Zone. Mongolia’s geographic positioning between two fast-growing giant economies is a huge opportunity to overcome the barriers arising from our landlocked status. 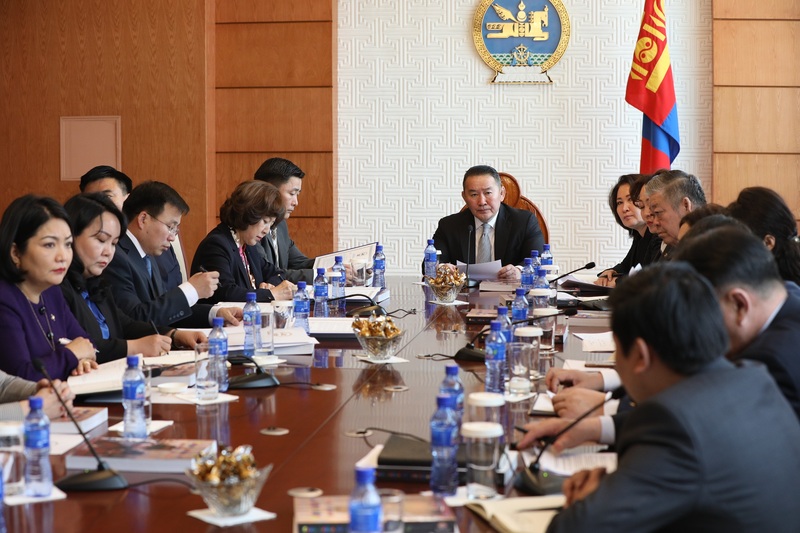 In order to fully utilize its chance to serve as a transport hub connecting the two neighbors and Eurasian coasts, Mongolia is working towards robust implementation of the Mongolia-Russia-China Economic Corridor program. Corresponding organizations from the three countries are engaged in an active dialogue to formulate the feasibility study and identify the type of financing for the projects within the Trilateral Economic Corridor program. Mongolia’s neighbor countries Russia and China have set a goal to increase bilateral trade turnover to USD 200 billion by 2020, and conducting these trade activities through Mongolian territory, a shorter gateway and the economic corridor will meet the interests of all sides. Therefore, we wish to accelerate the implementation of the Trilateral Economic Corridor program, which is no more than a dialogue today. Mongolia, for its part, is ready to put all necessary efforts for this development. In order to see solid progress in the development within the Economic Corridor program, it is imperative to enhance the cooperation mechanism, as well as continue the meeting of the heads of state, who are responsible for leading the cooperation. The heads of state of Mongolia, Russia and China are going to meet for the fourth time on the sidelines of the approaching Shanghai Cooperation Organization Summit. Mongolia forwarded a proposal to establish a free trade agreement with the Eurasian Economic Union to become part of the regional economic and trade integration and simplify the investment conditions. While appreciating Russia’s support of our proposal, I am confident that the other member states will favor the proposal, paving the way for launch of negotiations. 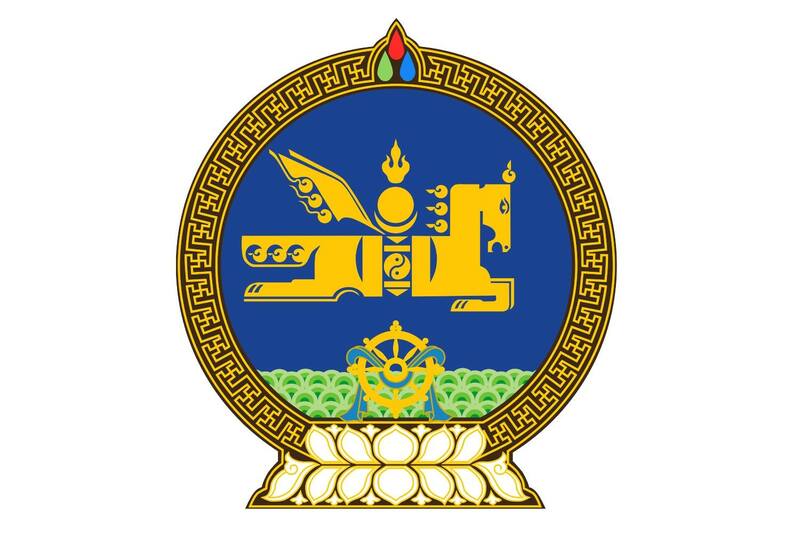 Since the implementation of the free trade agreement will take time, it is necessary to intensify certain actions such as organizing an expo of Mongolian-made products in Russia on a regular basis, correlating the conditions and technical regulations for e-commerce activities and facilitating the legal framework. 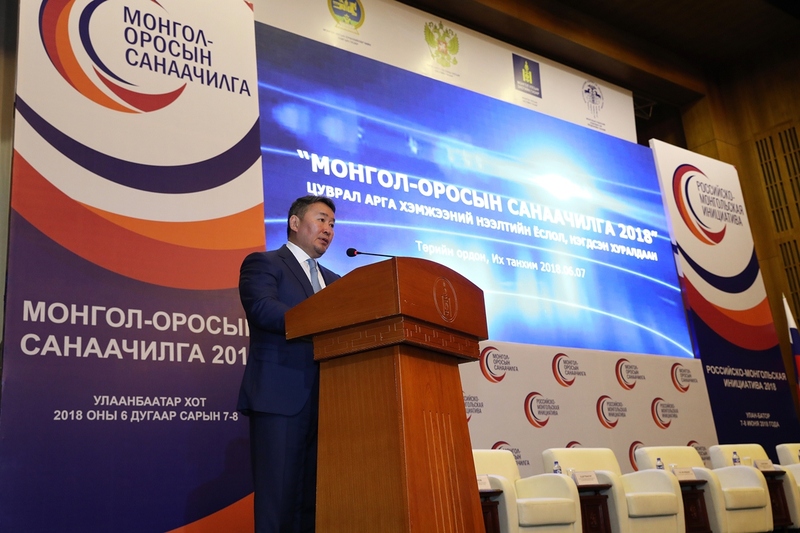 It is important to eliminate the non-tariff barriers in trade in the Mongolia-Russia cross-border region, which constitutes around 80 percent of bilateral trade turnover. 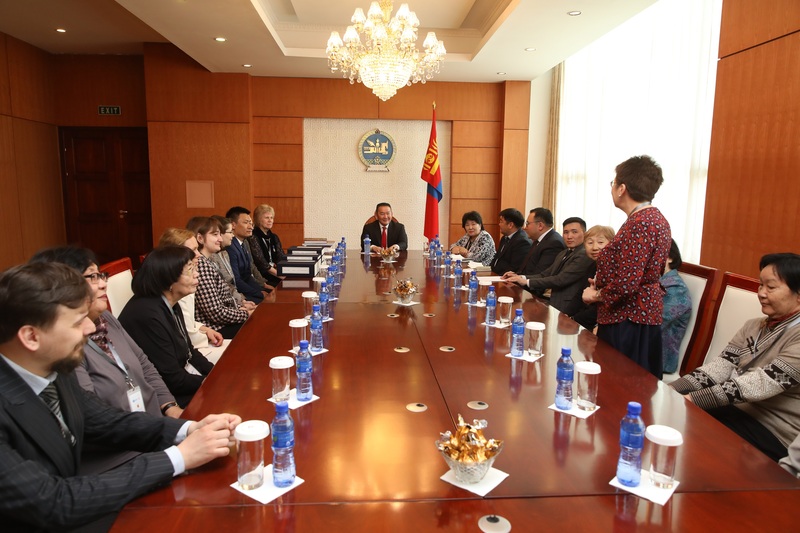 The active cooperation in this area between the Mongolia-Russia Intergovernmental Commission and the corresponding Sub-commissions is noteworthy. In an effort to overcome the economic downturn in short time and ensure sustainable growth, Mongolia is implementing an Economic Recovery Program and the International Monetary Fund’s Extended Fund Facility program. Mongolia’s economic indicators are slightly improving, with the economic growth reaching 5.1 percent and the revenue from foreign trade increasing in 2017. It is our priority to maintain and stabilize this growth, and the role of bilateral and multilateral cooperation with our neighbors and regional countries remains highly important in doing so. Russia and Mongolia are close partners in spheres of science, culture and arts. Mongolians are delighted that the Igor Moiseyev State Academic Folk Dance Ensemble, which has a history of almost a century, has come to Mongolia in frames of the ‘Mongolian-Russian Initiative – 2018’ series of events. Businesspeople are a major force playing a valuable role in furthering bilateral cooperation. Your investment and business activities disseminate new technology, knowledge and trend. Let me express my confidence that the policies run and conditions created by the Government of Mongolia, in support of your business, will be fully utilized to take the development of bilateral economic cooperation to a new stage.